Public relations wasn’t my first choice. Political science was the perfect major. Well, until I decided I hated politics and could go to law school with any degree. I felt public relations would be a good way to sharpened my writing and speaking skills, but I didn’t know if it was challenging or important enough to be a career. The only TV characters I could dream of being were the girls of “The Hills.” And as great as dramatic brunches and Visine tears looked on TV, I didn’t feel it was the place for me. Tom Cruise did a good job as a PR agent in “Jerry Maguire,” but his recent scientology tirades tarnished all of his credibility. I decided to dive in and hope for the best, though, and I’m glad I did. From the beginning, I was hooked on the progressiveness and changing nature of the public relations profession. I liked that we had to constantly be in the know of today’s news and proficient with current technology. We learned how to be effective, concise and clear when communicating. It was more than I could have expected. I was excited to go to class everyday. My current PR writing class further solidified my views of the profession. Since I’m part of a service-learning course, we have the opportunity of working with a “real-life” client, BRAC. We are forming mini-campaigns that could affect the entire Baton Rouge and surroding area community. Service-learning with BRAC hasn’t been easy, but I feel like it has taught me things I would have never learned in a traditional classroom. It has shown me the more business-oriented side of PR and how much research it takes to launched an effective campaign. As one of the strategy directors for Bengal Communications, I’ve seen how crucial it is to be creative and innovative in thinking to reach a target audience. However, the most important thing I’ve learned about public relations through service-learning and other coursework is its significance. 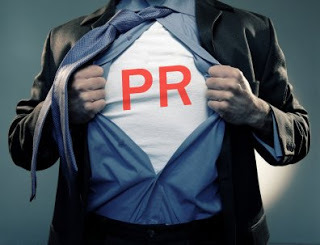 As I’ve stated in other posts, PR professionals have power. We shaped the public’s view of people, brands, causes and much more. In a way, we are the voice of the people. I take pride in being public relations major at LSU. Law school may still be in my future, but I know my current coursework has given me a great foundation. This entry was posted on April 10, 2013 by David Jones and tagged Baton Rouge, BRAC, celebrities, LSU, movies, PR, Public relations, service-learning, The Hills.